Fireplaces can be dangerous if they are not cared for. Without a doubt, fireplaces add a cozy factor to your living room and home. They are a desirable home feature, and sell houses quickly; however, they do require routine maintenance. Fireplaces can be dangerous if they are not cared for. At Home Solutions of Iowa, we’re experts at keeping your home safe from water and moisture with our maintenance-free LeafGuard® gutters, but we’ve also done some research to help keep your home safe by preventing accidental fire hazards in your home. Prevent the outside from coming inside. Reason(s) why: This is reason number one on the list, but it should be the most obvious. A cap on your chimney is a necessity and it’s really important that your cap is one with an intact screen. Preventing snow and rain from dripping down your chimney is important to keep your house dry and moisture free. Keeping the critters out is even more of a reason for an inspection. No one wants to deal with a damaging raccoon or bird nest. How: Depending on your roof and whether or not you have a fear of heights, get yourself an extension ladder. Climb up to your chimney and do some inspecting! Make sure you check to see if your screen is hole free. 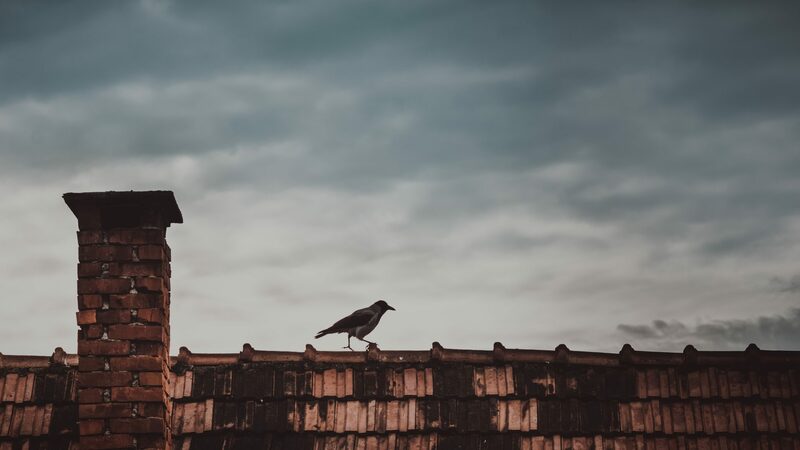 It’s also important to inspect your flashing, which is the metal parts around the base of your chimney that prevent water from leaking into your home. Reason(s) why: Many fireplaces add an enormous amount of aesthetic appeal to your home. Maintaining the look of your brick and mortar is important to that appearance. Making sure that you catch problem areas before they become major headaches is the best way to maintain the look of your fireplace. 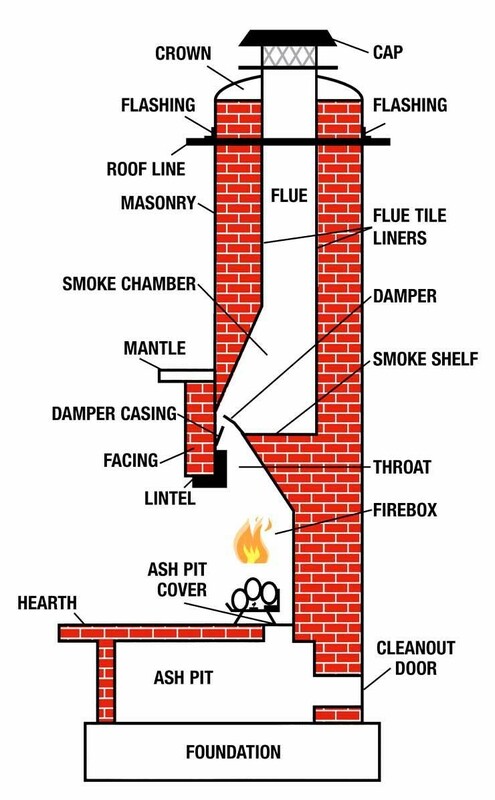 How: Inspect the inside and outside of your chimney, looking for areas of concern. If you notice the mortar deteriorating, reset or re-point the areas that look to be chipping away. Reason(s) why: The number one reason for wood-burning chimney fires is the buildup of creosote, or partially burned fuel, that sticks to the walls of your chimney. How: Regular chimney sweeps go a long way in preventing chimney fires due to creosote buildup. 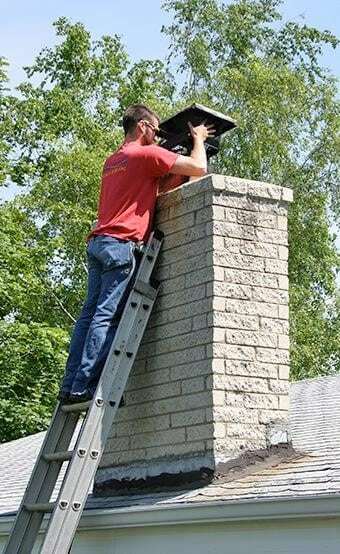 To be safe, you may want a professional to come in and complete a detailed cleaning of your chimney. If you are up to the challenge and want to invest in the necessary equipment, the cleaning can be done by yourself. Reason(s) why: The reason why you do regular maintenance on most things is to prevent from having to replace them regularly. Yearly inspection and routine cleanings go a long way in extending the life of your fireplace. How: Making sure your chimney is properly cleaned and dust free is one way to make sure your fireplace works properly. Many fireplaces have a blower that should be cleaned in order to prevent the dust, hair, and gunk from shortening its lifespan. Most blowers do not have a filtering system, so regular maintenance is a must. Reason(s) why: If your fireplace has glass doors, they should be airtight. If an airtight appliance is operated without these gaskets effectively sealing the openings, excess air can leak into the firebox creating an overfire condition, which may permanently damage the appliance. How: Make sure the gasket around your glass doors is not damaged in any way. Often times, old gaskets can deteriorate due to wear and tear. If you have a professional come out and do a chimney sweep, ask about the gasket and make sure it’s okay. Fireplaces are a comfortable and cozy addition to any home but can be a source of house fires. Make sure to keep your home safe by regularly checking and cleaning your fireplace.